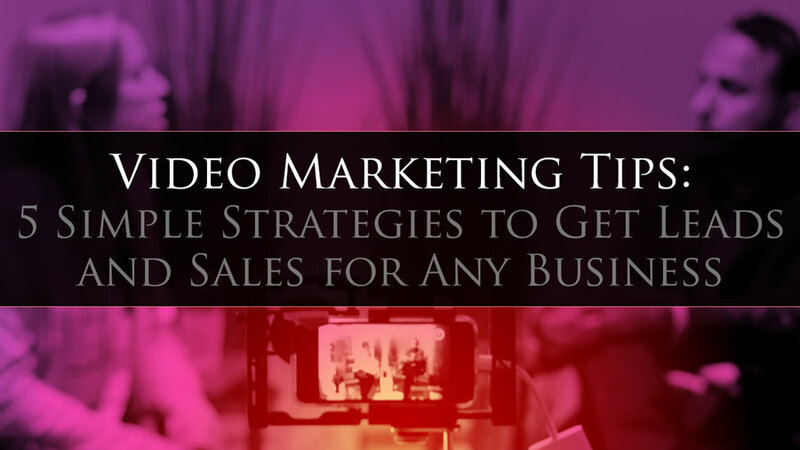 Looking for some video marketing tips to get more leads and sales to grow your business? If you’re looking for a way to get leads fast, and make sure keep pouring in long-term, you’ve landed in the right spot. I think you'll agree with us that one of the hardest parts about video marketing (especially in the beginning) is simply getting started, and knowing what kind of videos to create. However once you see the video tips MLSP and industry rock star Steven Rachel have dropped... you’ll have enough video ideas to get leads forever. Video marketing is one of the most effective ways to build your business. People absolutely love video. This strategy simply cannot be ignored these days. In fact it’s already close to accounting for 80% of all online traffic. Which means that if you’re not using video, you’re left with only the 20% of the traffic that’s leftover. Since you’re serious about your business, you certainly don’t want that. YouTube is the second largest search engine online. 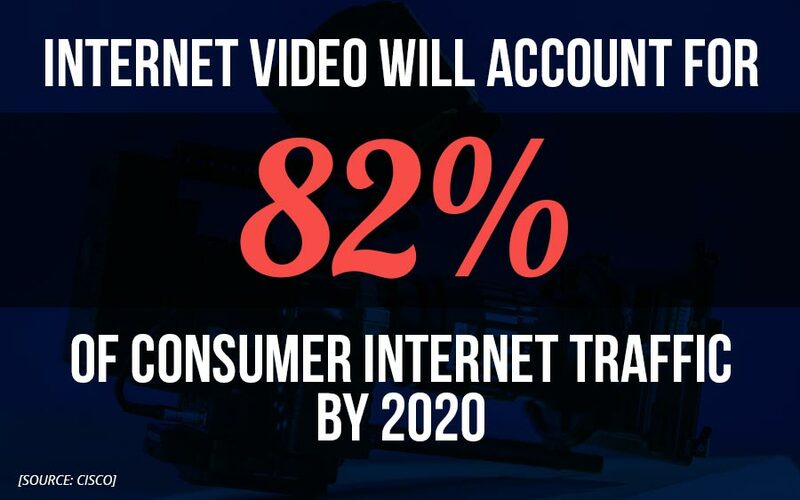 Getting videos ranked can bring in leads for years and years. And since Google owns YouTube, they naturally love to rank YouTube videos in their search results. Which is a nice 1-2 punch for YOU and your business. Plus, according to a Sept 2017 article on Forbes.com, video on social media gets more than 1200% more shares than any other media... including images and text. Bottomline, people love and devour online video...so YOU should be giving them exactly what they want. How These Video Marketing Tips Will Help You Grow Your Business! Of course what you want to know is how will video help you build your business? Whether you’re a network marketer, an affiliate marketer, or have your own products and services, video marketing is the perfect medium for building your brand, generating leads, building trust and credibility... and therefore getting more sales! According to Hubspot, after watching a video, 64% of users are more likely to buy a product online. In other words -- there’s really no downside. So let’s get started showing what types of videos you can start creating that are already proven by top marketers to work like crazy. 5 Video Marketing Tips to Start Growing YOUR Business Now! Right now your biggest problem is likely knowing what kinds of videos you can create. That’s a common struggle with both new and experienced video marketers. So let’s make sure it’s never a struggle for YOU again! The video tips below will show you which are the best types of videos to create to grow your business, and we’ll also show you how to get the most out of each video you create! People love (and actively search out) review videos online 24/7. You’ve probably searched them out yourself at some point. Getting others opinions helps us shape our own opinions, and make better decisions. Because of that, review videos will help you get a ton of engagement from your viewers. You’ll get likes, shares, and of course leads from these videos. Your review videos can promote different products, services, or companies that your potential prospects want to know about. Of course they can be YOUR products and services... but that doesn’t mean you always need to be pitching something with your videos either. Simply share your opinions in an honest and non-pitchy way, and you’ll grow a ton of trust with your viewers. Giving an honest review, and not ALWAYS trying to blatantly sell will be much more effective for building an audience that knows, likes, and trusts you. Want some quick examples of things you can review that aren’t YOUR products or services? The sky is virtually the limit with review videos. 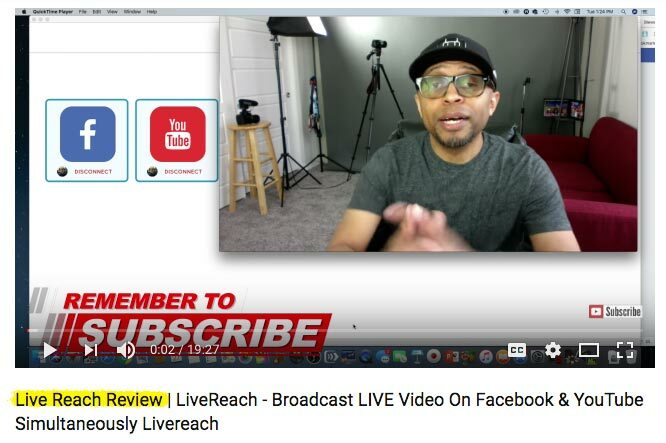 COMPANION VIDEOWatch the Quick Video Below from industry leader Steven Rachel... and See Exactly How He Uses Review Videos to Build His $6-Figure Business! “How To” Training Videos are extremely popular. This is another type of video that will let you get tons of engagement, comments, and likes. People will see YOU as the authority because you’re training them on something they want and need to know about. 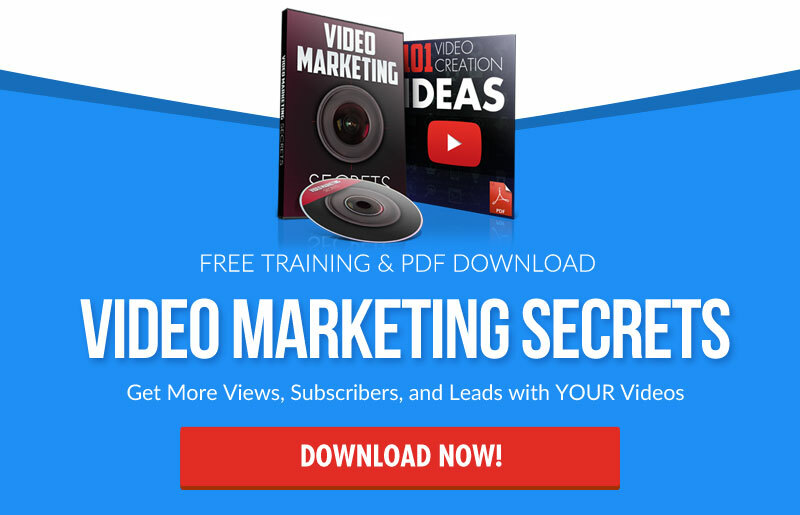 Because of that, you’ll generate many leads with this type of video as well. As long as your videos provide value, your viewers will look at YOU as the expert. How prospects can join your business! Your goal with your training videos is to simply get people to the next step. You can even create a series of videos to get them further along and closer to reaching their goals. For instance a 5 or even 10 step process can turn into different video series’, with each step being the next video to move your prospects forward. Don’t Feel Like You Know Enough to Teach Others? This is a common obstacle that people face. Yet there’s a simple fix. What have you recently learned? Never discount the fact that what you know (even if you just learned it yesterday) something that many of your target prospects don’t yet know. In fact there are many people who are dying to have someone teach them what you may take for granted in a simple and clear way. That person might as well be you. Simply create videos that teach the strategy you’ve just learned. 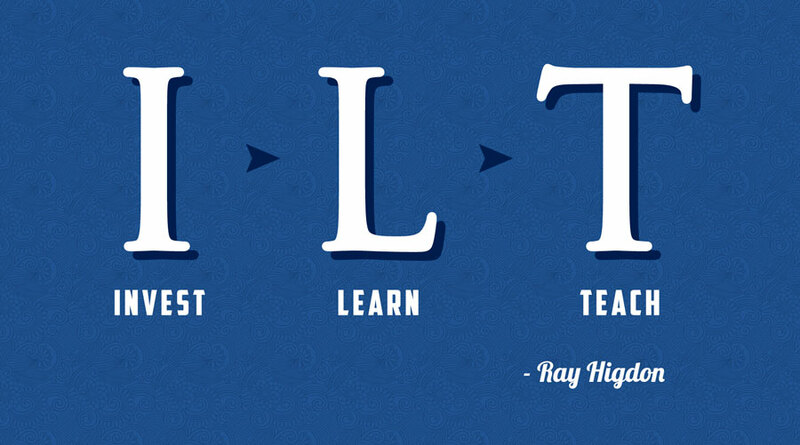 Industry Ray Higdon was able to build a blogging empire ($8-Figures) with this exact strategy. It’s called Invest, Learn, Teach! There’s no better way to create an explosion of leads and sales than with Webinars. How do we know webinars work? Have you noticed a major part of MLSP’s business model is hosting LIVE weekly training webinars? Webinars work because they give people an opportunity to engage with you LIVE! Imagine having hundreds of people engaged with you for an hour, getting major value, and getting to know, like, and trust you! It creates a massive sense of authority with your webinar viewers. The beautiful thing is that when you recommend a product at the end of your webinars, people are much inclined to buy. Especially when you use a webinar formula that converts to leads and sales. Once you start creating marketing webinars, it will make a HUGE difference in your business guaranteed. Tip #4: Shoot Quick and Easy REALITY VIDEOS On the Fly to Let Your Prospects Peek Into Your World! Reality videos are one of the greatest (and easiest) ways to bring prospects into your world. Know, like, and trust is essential to building a successful business with attraction marketing. And peppering reality videos is a powerful way to make that happen. Plus, you’ve probably noticed that everybody LOVES reality TV. Us humans are nosey creatures. So it’s very easy to hook your viewers in, by showing them a little bit of your day to day life. These are easy to create. You really don’t even have to do any prep work either. Simply whip out your smartphone, and film things that you’re doing around the house, around town, etc. Because you're not pitching them, it gives them an opportunity to know WHO you are! Flip on the camera and record yourself talking to a prospect on the phone. When you're working from home or even a coffee shop...show people what the home business life is like. Nothing is scripted with these. You don't even have to know what you're going to talk about. You can just riff, and talk to people. Let them see you up close and personal. Uncut. The can be very short: 2 to 5 minutes max. So simple, but so powerful. It's just a snapshot of a particular moment in your day, just to bring people into your world. But it WILL make a profound difference in building your brand, getting more leads, and building TRUST! Tip #5 Promote YOUR Videos! Whatever type of video you're creating...you must promote, promote, promote. You must get eyeballs to the content that you're creating. Don’t fall into the myth that if you create the video and post it, that people will automatically just show up. It doesn’t work that way. In fact that’s only the first step. You’ve got to prime that pump! The bottom line is that if you’re not getting views on your videos, it’s likely because your not promoting them. It’s a huge mistake that people make. Want some quick but effective ways promote your videos for immediate views? Email your list about your new video. Promote your videos on your social media accounts.. If you’re building a Facebook list with ManyChat, tell your subscribers about it! Build your YouTube subscriber list so that your subscribers are notified with each new video you post! BONUS: One of the fastest ways to promote your videos is with paid advertising. For just $5 bucks a day, you can create a simple Facebook Ad that gets your videos out in front of all your fans, and/or your most targeted online prospects! COMPANION VIDEOWatch the Video Clip Below to See How to Promote Each Video You Create from Now On! 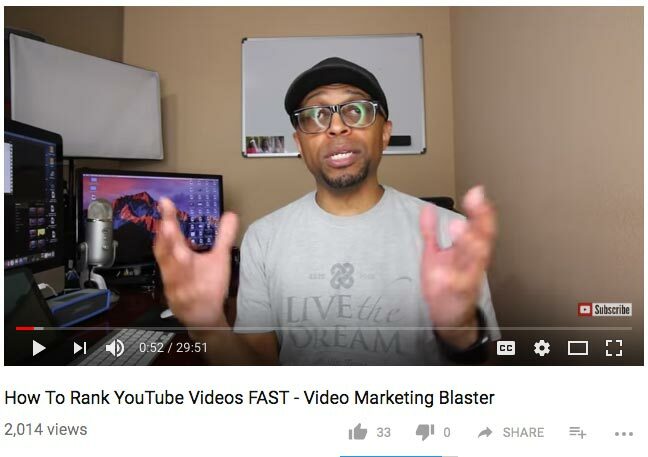 These Video Marketing Tips Can Get You Fresh Leads and Sales Immediately...as Well as Long Term! The videos you post online, stay online as long as you leave them there. Video marketers like Steven and Lanacia Rachel still get leads from videos they created years and years ago. This creates true leverage in your business, as well as real residual income that you were promised when you got started. But ONLY if you get started applying these video marketing tips TODAY! ACKNOWLEDGEMENT: We want to acknowledge and honor our dear friend and top affiliate Steven Rachel for providing the trainings above so that we could serve YOU, our beloved audience. Steven is one of the go-to video guys in our profession, and probably one of the coolest guys you will ever meet. Thank you for all that you do Steven to help the MLSP Community get better and better every single day!